Moving to Settler, Oregon may be more than Darlin Dae "Daelin" Long bargained for in M. Pax's The Rifters. This short novel hooked me from the first chapter. The action moved fast paced, and the mysteries never ceased. Daelin was easily one of my favorite characters with her quirky expressions, such as "in all the dictionaries," to the fact she was taking the town's library job. As a librarian, I have a soft spot for them in books. Earl was rough around the edges, and his enigmatic ways kept me a tiny bit distanced from him. The town of Settler is unlike any town I've encountered, and I loved the world Pax has created. Part-fantasy, part-science fiction, part-steampunk yet completely enthralling, The Rifters by M. Pax is the start of a great new series. Sullyan's and her friends' battles are just beginning in Cas Peace's The Challenge. I fell in love with the world Peace created in the first trilogy Artesans of Albia. From the magic systems to the different realms, I enjoyed understanding more about the world created. The book started out strong for me, but then again, Taran is one of my favorite characters and the reason I fell in love with the very first Artesans of Albia book. He's honorable, caring, and has so much room to grow. Yet as I read, the pace slowed to a trickle and Sullyan started getting on my nerves. I almost gave up reading, but I'm glad I pressed through because the pace picked up and roared full-steam until the end. I still want to throttle certain men in the book for their idiotic behaviors, though, and perhaps do worse to the main loathsome villains. The Challenge by Cas Peace is the start of what looks like an intense new trilogy. I read Mary L. Kao's Cataloging and Classification for Library Technicians to learn more about cataloging. Although a good basis for library terms, I found the writing to be dry, boring, and a tad overwritten and repetitive. The book has some history of cataloging and talks about the basics of what every book needs to be cataloged, but I wish it had more about MARC records and LCC numbers. Even though this book came out in 2001, I was surprised it didn't focus more on computer-based cataloging as opposed to card cataloging and the like. Cataloging and Classification for Library Technicians by Mary L. Kao is a good start for a librarian learning cataloging, but perhaps something more current would be more useful. Death is not the ending in Kristy Feltenberger Gillespie's Even in Death. I enjoyed every single story in this collection. The voice pulled me in, although a couple stories I had to read slower to figure out which character was which. Some stories brought tears to my eyes. Some made me laugh. Some were fraught with tension and left me guessing what would happen until the very end. This collection was a great mix of contemporary, paranormal, and horror stories. Death may be a central theme to Even in Death by Kristy Feltenberger Gillespie, but hope and life find their way through times of death in these stories. It's here: MOSAICS, book 2 in the Track Presius mystery series is finally here! And to celebrate I'm giving away a signed copy of the book and a $25 Amazon gift card, just enter the Rafflecopter giveaway below. Aaaand three Kindle copies of the book for the next three winners. 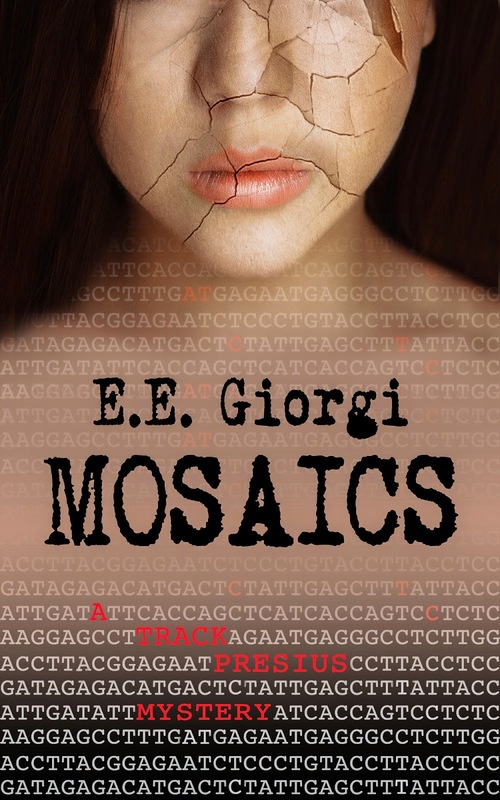 MOSAICS is book 2 in the Track Presius mystery series, a hard-boiled detective thriller with a genetic twist. CHIMERAS, book 1 in the series, is a 2014 Readers' Favorite Book Award finalist. Dubbed the Byzantine Strangler because of the mysterious mosaic tiles he leaves at the crime scene, a new serial killer is stalking the streets of Los Angeles. Racing to decipher the code encrypted in the tiles before the killer strikes again, Detective Track Presius faces a new challenge: the "awakened" genes that make his vision and olfactory sense so sharp are now taking a toll on his life. When a new set of tiles appears in his own backyard, Track makes a chilling realization: those very same genes that are threatening his life are drawing the Byzantine Strangler closer and closer. The line between hunter and hunted has suddenly blurred. Will Track be the next piece of the mosaic puzzle? Haunted by the girl he couldn't save in his youth, and the murder he committed to avenge her, Detective Track Presius has a unique gift: the vision and sense of smell of a predator. When a series of apparently unrelated murders reel him into the depths of genetic research, Track feels more than a call to duty. Children are dying -- children who, like himself, could have been healthy, and yet something, at some point, went terribly wrong. For Track, saving the innocent becomes a quest for redemption. The only way he can come to terms with his dark past is to understand his true nature. BIO: E.E. Giorgi is a scientist, a writer, and a photographer. She spends her days analyzing genetic data, her evenings chasing sunsets, and her nights pretending she's somebody else. On her blog, E.E. discusses science for the inquiring mind, especially the kind that sparks fantastic premises and engaging stories. 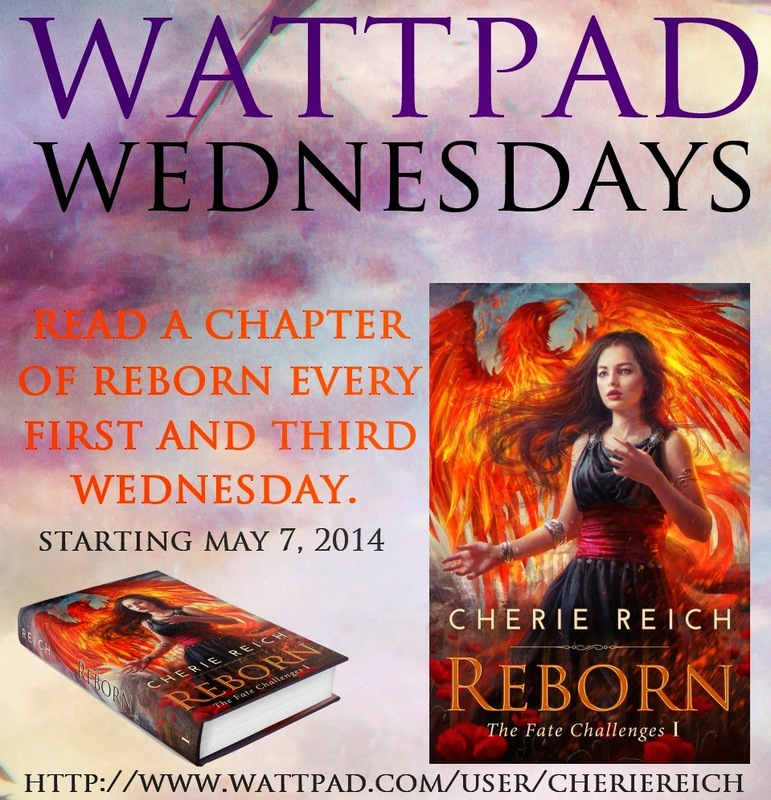 As it's the third Wednesday of the month, it's time for another chapter of Reborn to be up on Wattpad. You can start at the beginning here or click here to read Chapter Nine. That's a scary amount of books in just one week! Great reviews. That is a lot of books released! 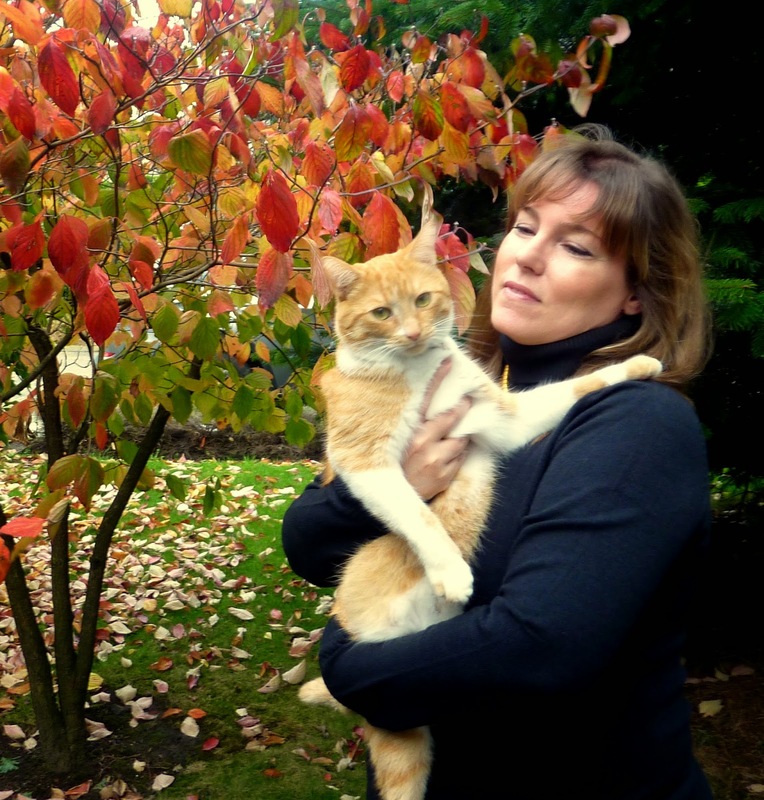 thanks so much for featuring my book, Cherie! Wowza on the books out. Wow. This post is packed with AWESOME. I could seriously restock my TBR list right now. Great reviews. I love the cover of Mosaics, and I think Mayra's story sounds cool. Awesome reviews! Mosaics sounds sweet! I just bought the first book in that series! I can't believe how many books were just released...holy cow! So glad you liked Mary's book. It sounds good. 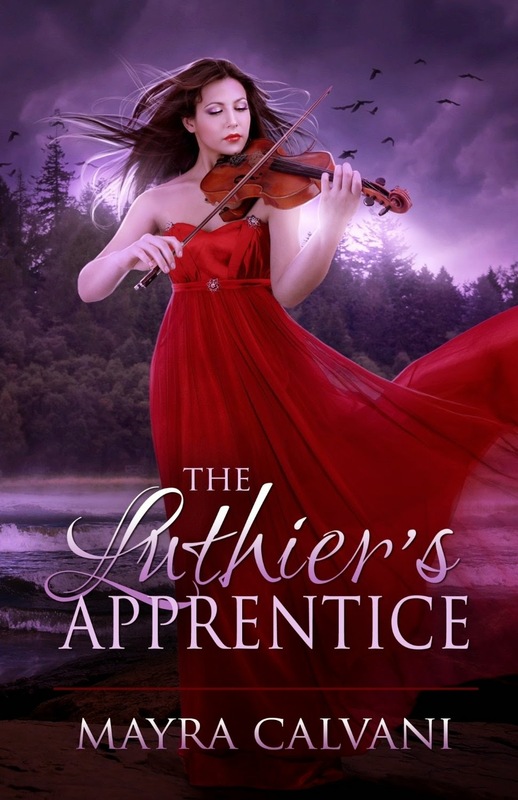 That's a very gorgeous cover for The Luthier's Apprentice! That is a lot of reading! I've started reading The Rifters. I'm enjoying it. Loved Rifters and enjoyed Chimeras! 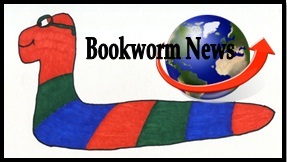 That's an amazing list of books released - whoa! Lots of books. I've officially torn up my TBR list in frustration. Wow, Cherie. You clearly are on a roll with your reading and reviews. I'm jealous. I have Mary's book waiting for me in my Kindle and after reading your review, I am so looking forward to diving into the story! Beautiful covers here. I hope to read Mary's book. You rock, Cherie -- and I bet your eyes aren't even tired. I've been seeing the Rifters all over the Twitterverse lately; hope the new series is a huge success for Mary. Great reviews! Love the covers featured, too. Mosaics is on my Kindle already, but The Luthier's Apprentice is new to me. Just added that one to my wishlist! Looking forward to reading the Rifters when my teaching and TBR pile simmers down. Love that Mosaics cover!!! Oh wow, so many beautiful things! Good list of recommendations :) I love what you're doing on Wattpad, seems like it takes a lot of work and stamina! Great reviews. So many books too! Even In Death sounds really interesting. I've bought The Rifters a few days ago, but haven't had a chance to read it yet. Hoping to get to it this weekend, though.